Our comfortable Double Queen room features two queen beds. Decorated in soft pastel tones and colorful Spanish accents, the room has the look and feel of a California Baja getaway. Located on the second floor of our west wing, the room offers a wonderful view of our tropical gardens. 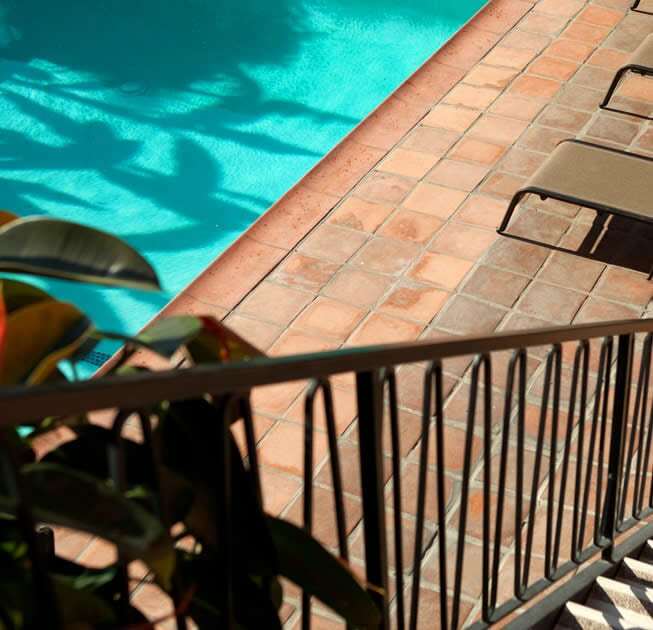 Enjoy easy access to the balcony for sun-bathing and you’re just steps from a romantic evening by the pool and spa or an evening drink with the other guests.